This is a sample script showing how open data datasets from the Vienna’s Open Data portal can be analysed and visualized using Jupiter Notebooks. 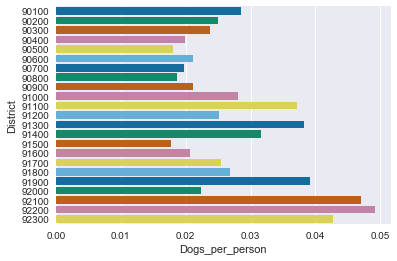 We take the dog statistics data in Vienna as a sample use case to demonstrate common approaches to analysing open data. This is a first part of our data story, in which we focus on data loading and pre-processing.